Republicans Jim Martin and Pat McCrory, along with Democrats Jim Hunt, Mike Easley and Bev Perdue, will collectively speak out against measures that would shift certain powers from the North Carolina’s governor’s office to the legislature. One constitutional amendment would limit the governor’s ability to fill judicial vacancies that occur between elections. Under the proposed change, the governor would have to choose between two nominees selected by lawmakers. The five ex-governors also oppose another amendment that would let legislators appoint members of the state ethics and elections board, choosing from nominees submitted by North Carolina’s Republican and Democratic parties. Under current law, the governor makes those appointments. Under the proposed amendment, the governor would also lose the power to make hundreds of appointments to state boards and commissions. Republican leaders in the General Assembly say the two proposed amendments would reduce the influence of politics in judicial appointments, and make the state’s political system more transparent. Democratic governor Roy Cooper has sued in an attempt to keep the two amendments off this fall’s ballot. 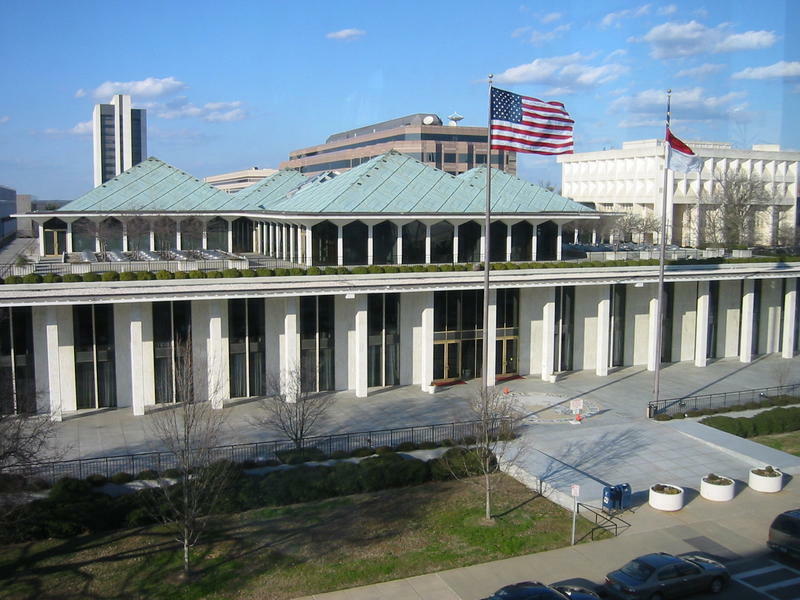 Cooper contends the measures would violate the separation of powers between North Carolina’s executive and legislative branches. The governor also argues that the amendments are worded in a way that will deceive voters as to their actual impact.